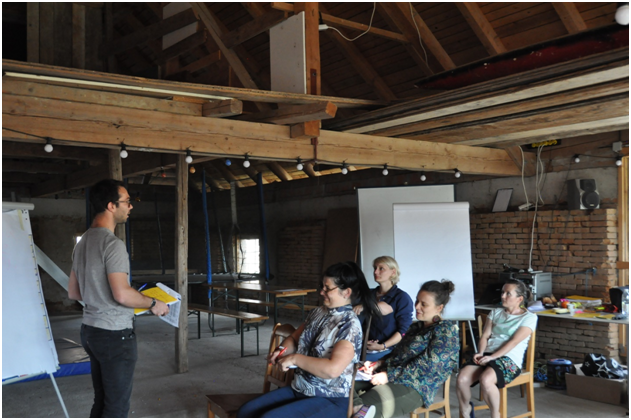 From June 14 to 22, 2018, as two participants from Belgium, along with 17 others from Austria, Bulgaria, France, Germany, Greece, Ireland, Italy, Latvia, Malta, Poland and Romania, took part in a Training course on inclusive practices for non-formal education. Upon our arrival in Strengberg, a small village in Lower Austria, we quickly understood we were up for an amazing experience that would go beyond the idea of acquiring knowledge. When we met the rest of the group as we arrived in the venue, “Hof Strengberg”, we could immediately feel welcomed by the warm atmosphere of this old and rather isolated farm that would be ours for the coming week. 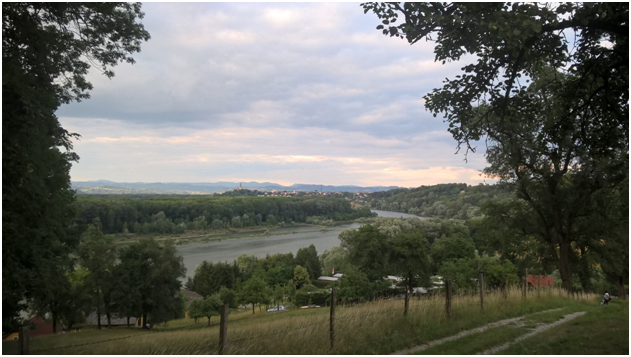 From the first evening on, we were invited to get to know each other through games, or simply by relaxing on the deck, enjoying the beautiful sight of the Danube Valley. This training course was not meant to be about tourism and farniente, however. Every day, starting at 9:30, we would engage in intense activities to learn about non-formal education through non-formal education (NFE) methods. This has to be stressed, as we had the chance to actually attend a training that showed coherence between its ideas and its actions. Too often have we observed some telling us to do as they say, but not as they do. 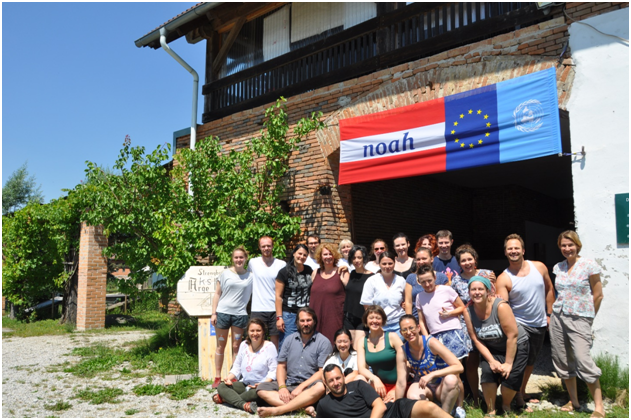 Our trainers chosen by the coordinating organization, “Arbeitskreis Noah”, however, were quite the opposite of that. From the first day on, we were immersed in non-formal education, in the practice of facilitation, for it is what we learned and how we learned it. In substance, what was this all about? Facilitation for all was about inclusion but not only. As we begun the training, once we had gone past the team-building activities which, by the way, gave us many ideas of activities which we will definitely use in the future, we jumped into the topic of non-formal education: what makes non-formal education different from Informal education or formal education? As in the principles of NFE, the wisdom was to come from the participants, not the facilitators. We were thus invited to prepare small sketches on the different types of education. A discussion followed, so that we could share our impressions, generalize, theorize, and consider applying what we had just learned. By engaging in this activity, we had improved both our theoretical and practical knowledge on NFE, and that was just the beginning! The following activities showed a very similar pattern, but as the group’s confidence and knowledge grew in pair, every next stage of the training course made it both more interesting and enjoyable. Sketches and mimes were usually the time to relax and have a laugh, but we all took the task seriously, so as to make the group benefit from it. There sure was a lot of talking, but it would always preceed and follow something else. When deliberating, we each of us recognize the equal value of one’s point of view and listened respectfully before stating their opinion. “Facilitation for all”, as a training course, could be compared to a walk up and down a hill, starting from our comfort zone, with little difficulty, but gradually getting more and more intense. In this view, the climax of this course was definitely the realization of our “x-peeriment”, that is, our non-formal education activity designed in groups of three to four people that we tried with the other participants who, along with the trainers, provided us with feedback and advice. This was an excellent opportunity to try on new techniques with experienced trainers, while, as we acted as participants, we could also get ideas from the others, or learn from their mistakes. With three other participants, I personally took part in the creation of an activity about citizenship education through experiencial learning. This counted as great opportunity for myself to try on something I am likely to use at work in the near future. However, the x-peeriments were very diverse: the connection of our body with our emotions, team-building, “discovering our inner child”, helping people with disabilities… We all had different goals, but shared one objective: inclusion. As these workshops prepared by the participants came to an end, we started “going down the hill” back to a less intense, and more relaxed setup. It was indeed time to reflect on everything we had learned for almost a week, and think about the best way we could process it.For the whole week, we had shared our impressions, our concerns and our goals with one another. 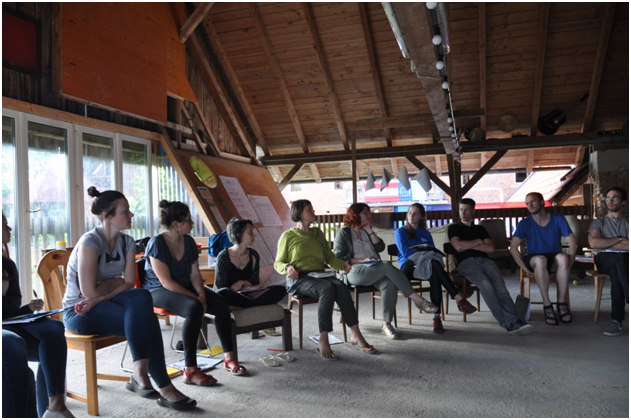 We were thus invited – not that we really had to be told – to keep in touch in the future, so we can help each other for everything related to the application and transfer of the competences acquired during the training course. It isn’t about peer pressure, but peer support. Within one week, we have been able to build strong ties that do beyond the “networking” idea behind international mobility programs. “Vielen dank” to Arbeitskreis Noah for this amazing experience! “Bedankt” to CODEC Vzw for (as always) giving such great opportunities to acquire and share good practices across Europe. ← Training course “Community Animation Backpack”, Leszno Poland, funded by the Polish National Agency within Erasmus+ Programme.